Hungry? Want tasty food? Noodles, Dosas, Wheat roti, Pasta, Burger? Thinking about health? If you are a vegetarian and are pondering a while on good quick source of protein – then yes, Quinoa is for you. A 100g of Quinoa will give you 14g of protein! Yes, no kidding. This means it is equivalent to 1/3rd of your daily value requirement of protein for body. Typically for a breakfast, you would need 1 cup or a 60 grams of Quinoa – if you are a light eater. 1 1/2 cups is generally consumed by a healthy male adult. 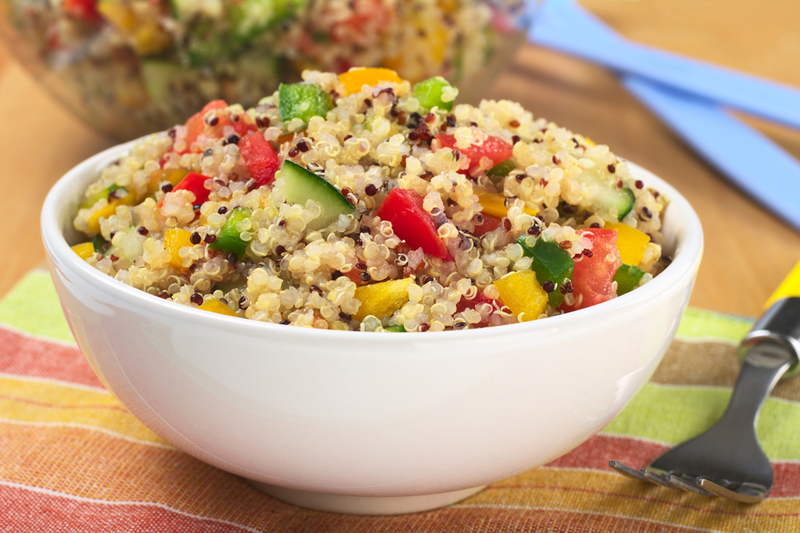 Simply put – if you are a vegetarian, go and grab one pack of quinoa from the store, right now! Gluten is is form of protein composite that comes with the wheat and related grains and gluten gives the elasticity to dough. For some people gluten can cause adverse health issues – abdominal gas, diarrhea, migraines and what not. So many choose to avoid gluten in the food. But if you want proteins and also want a gluten free diet, get the Quinoa now – it is gluten free for the fact that it is a “seed”, unlike other “grains”. Are you a over eater or have that tendency to eat every food that flashes in front of your eyes? What you need to eat is food that is low in glycemic index – that digests slowly and stimulate hunger slowly. Cooked Qunioa is found to have glycemic index 18 (according to nutritiondata.com) which is very low even comparing to cooked wheat!! Also Quinoa scores comparatively more on wheat by its Calcium, Iron, Magnesium content – so if you are thinking about maintaining good muscles – Quinoa, you choose! Grab a mirror and check your skin – are you feeling it’s loosing the sheen it was earlier? Feeling aged look – what all you need is antioxidants. When comparing with legumes, many cereals – studies found that Quinoa scored way better than others. Make a promise to eat some Quinoa several times and get that re freshened feeling! Due to the inherent property of high protein content, Quinoa increases the body metabolism and reduces the appetite significantly. So want to look slimmer? Grab the Quinoa! Still there are many comparisons where Quinoa scores better than other grains, we like the fact that Quinoa can be easily integrated with our regular cooking styles. For example – typical Indian foods upma, idly, roti can very well be prepared with Quinoa. 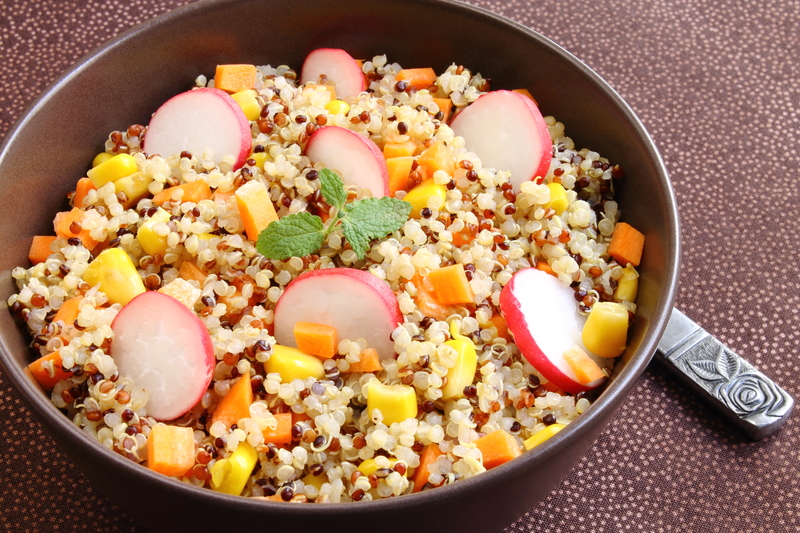 Western dishes – salads, pasta, burger patties can very well be replaced with Quinoa. Quinoa’s popularity is growing – the fact that is “super healthy” food is making the chefs worldwide to come up with Quinoa alternatives to all famous recipes. Another thing that is foreseeable with growing demand for Quinoa is drop in prices due to increased production worldwide. Quinoa is easily grown with little water table. Food and Agricultural Organization of United Nations (FAO) has branded Quinoa has “high nutrient value” food that is essential to maintain world’s food security. Follow www.quinoaguru.com for more interesting updates and happenings in the world of Quinoa!! Quinoa is a native grain of South America. 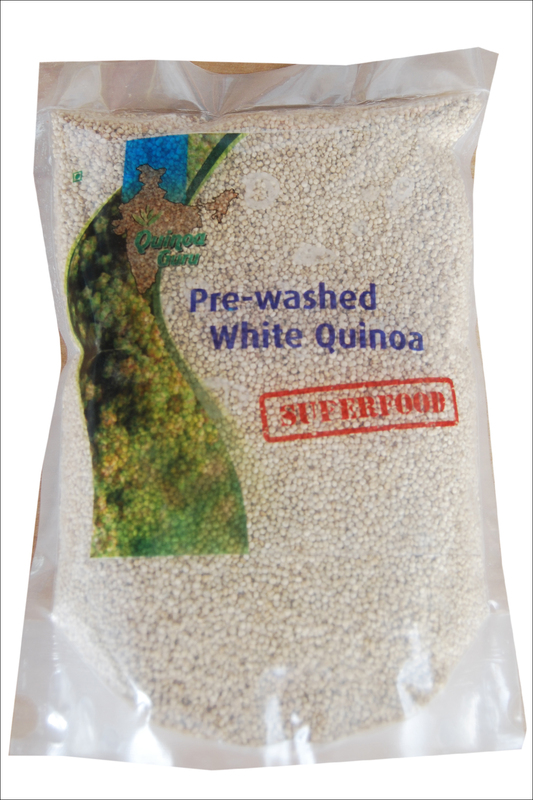 Quinoa offers excellent nutritional values among all other grains and millets. Even though Quinoa is not a native crop to India, a lot of interest is generated amongst Indians in recent times due to its proven health benefits in Western world. Human body has limitation to produce all essential amino acids; hence we include various items in our meal to address this issue. For example, North or South Indian diet contains more than 6 varieties to provide essential nutrients. But this diet also adds unnecessary calories, fat, acidity and carbohydrates while solving amino acid issues. Quinoa provides complete nutrients required for human body. Some farmers in India have been successfully growing Quinoa for last couple of years. Previously it was extensively imported from Bolivia and Peru for Indian market. Indian farmers to some extent mastered art of growing high protein variety of Quinoa and they are responding to market needs quickly. It is also important to supply steadily as consumers resist shifting to Quinoa because of its irregular supplies in the past. Growing crop in India has addressed this problem. Getting closer to Indian consumers can ensure their habits of eating healthy foods is continued long. 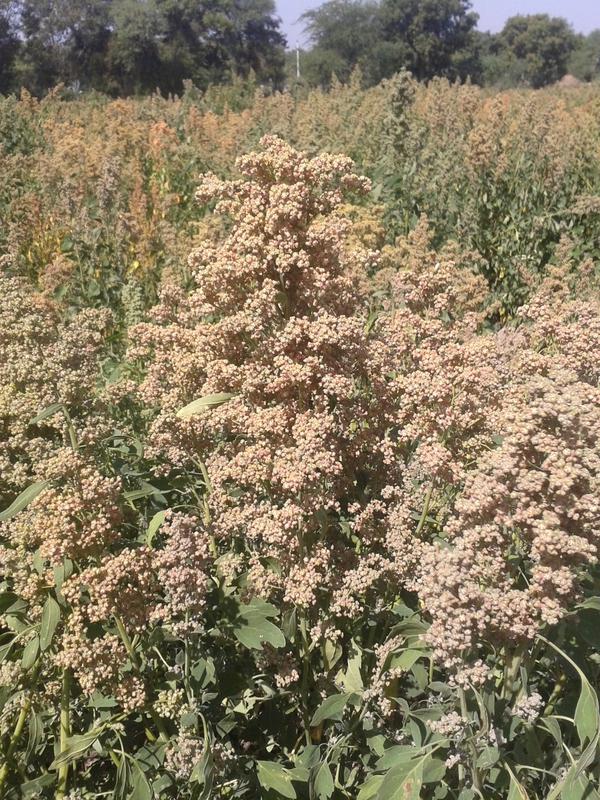 Farmers growing Quinoa were not aware of saponin on Quinoa which gives bitterness to the seed. Some brands are selling it as natural grain without removing saponin, which gives bitter taste. Consumer may start eating Quinoa but over a period they would stop as it doesn’t taste good. Its classic example of “How many people eat bitter gourd Vs potato?” Taste does matter. This year couple of processing plants has been setup by us close to the farmers. We have helped them in choosing right machinery and following right techniques. This helped healthy Indian Quinoa to get cleaner and brighter devoid of bitter saponin. Now the consumer loves its taste and continues with the habit of healthy living. As it is not native crop to India, farmers were not sure on pesticides and fertilizers to be used. They started with natural methods in controlling pest and growth of crop. As aggregator of Quinoa in India, ‘Quinoa Guru’ has been helping farmers to grow in greener methods. It gives a better control on farming practices. As against imported Quinoa, the crop grown in India doesn’t cross oceans and pollute the environment while it is being transported. It is greener in its reach to customers. Quinoa is mainly dry land crop and does not require much water to grow. As against wheat and rice crops, Quinoa consumes less water making it further greener. By growing and processing Quinoa in India, Quinoa comes closer to Indian consumers with ‘cleaner quality in a greener route’.